Teacher Brent has been teaching kids for over 10 years. 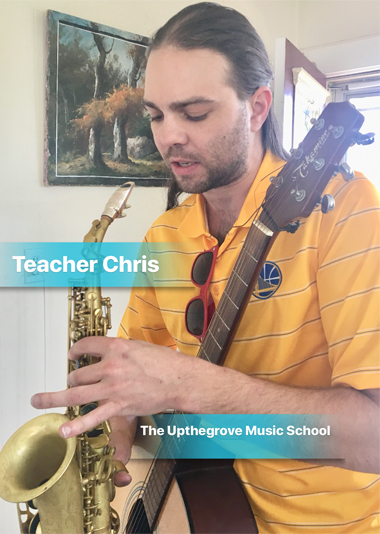 He has been at UptheGrove Music school for over 2 years. 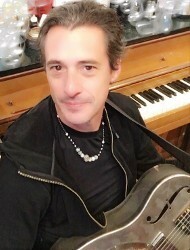 Brent has a degree in music from Laney College, and he is finishing up his music education degree at Cal State East Bay. For years he taught for us in San Francisco, now he's teaching for us in Chicago. 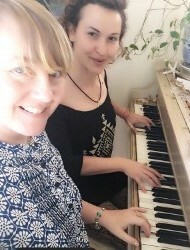 Teacher Kristina studied music in school for over 10 years. Her musical education also included private lessons in clarinet, piano, and voice. Kristina Sang alto in several different choirs throughout the years and has over twelve years of experience working with children. Also, she is a guitar player and was a member of the Northwestern marching band for one year in college. Kristina graduated from NDNU. All my students learn to read music. Guitar and piano students have different needs, however. 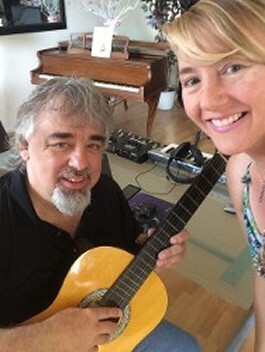 With guitar lessons, I emphasize singing and accompanying chordal technique, as well as note-reading. If the student is interested, I teach them Classical style, which requires a lot more work and dedication. Usually, they prefer to stick with acoustic guitar style. 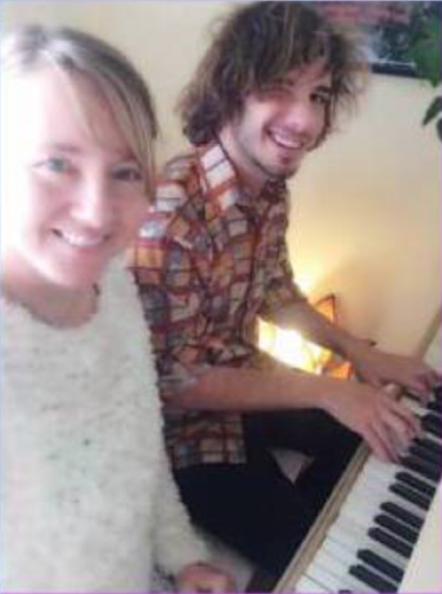 My piano students learn to read notes and play all styles of music – Classical, pop, etc. 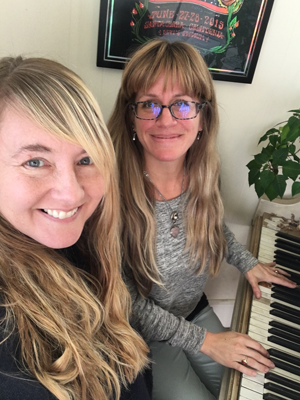 I had a private piano studio in my home for over 20 years with 35 students. My students gave twice-yearly recitals at the local concert hall. At that time I was a member of MTAC and MTNA. Two of my former students went on to have a career in music. I gave up my private studio to focus on performing. I perform over 100 concerts and events each year in Northern California on piano, harp, and flute. You can hear me on my websites and on YouTube. Tomorrow I will be playing at Grace Cathedral in SF. 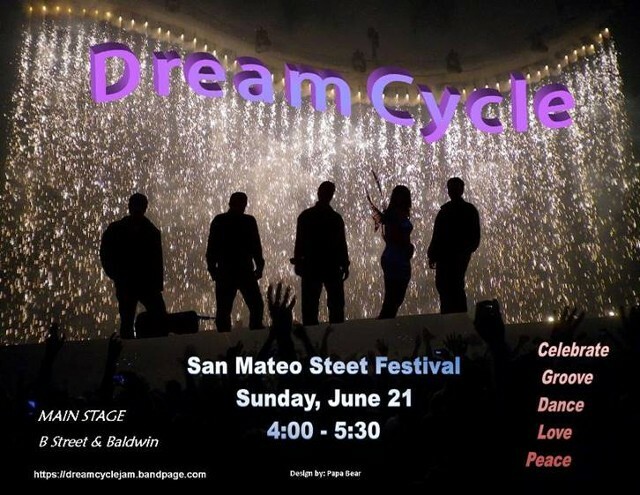 On Sunday I will be playing at the SF Hilton Hotel. I am also the church pianist at St Andrew’s in Pacifica. I am a highly-trained Classical pianist and have soloed with orchestras and play in many ensemble groups. I have also played in rock bands and accompany many singers of all types. 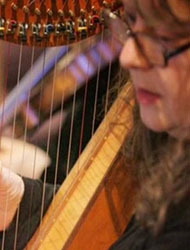 I play piano, harp, flute, guitar (acoustic & Classical), Irish flute, tin whistle, bodhran, and violin. I speak fluent French & Russian. 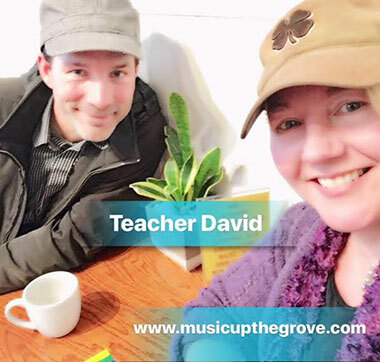 He teaches Piano, ukulele, sax, clarinet and drums plus vocals! Would you like to teach for our school? Mike has been with the music school for a few years, and students think he is brilliant. 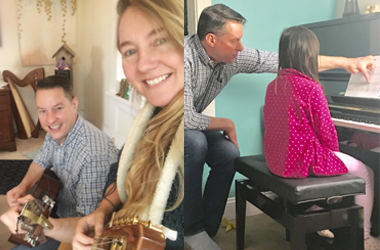 If you or someone you know wants to learn an instrument in the San Mateo area - send us a note - Teacher Mike has a few places left in his timetable, and you will be amazed at how well you are playing in such a short amount of time! "Thank you for your email. Your comments mean a lot to Lukas and me. I am happy that he not only found his love in music, but also a teacher who is a mentor for him musically and personally. I also feel that Lukas is somewhat relieved that he found other folks who take music as serious as he does. After hearing all the wonderful remarks from my parents and husband, I can't wait for the next rehearsal to come. By the way, my parents were impressed that their Christmas present sounds so good and is put to use. ;-)"
"Mike, Thank you so much once more for all the effort you put into our student band. It was a lot of fun, you worked wonders with that rag tag group of rug rats and I will miss you. I really appreciated your partnership and friendship." We Are Over the Moon To Be the Last Band On At the Festival! Come and see the band play and if you can't make it send us good vibes to be there in spirit. The band is reaching new cool highs! 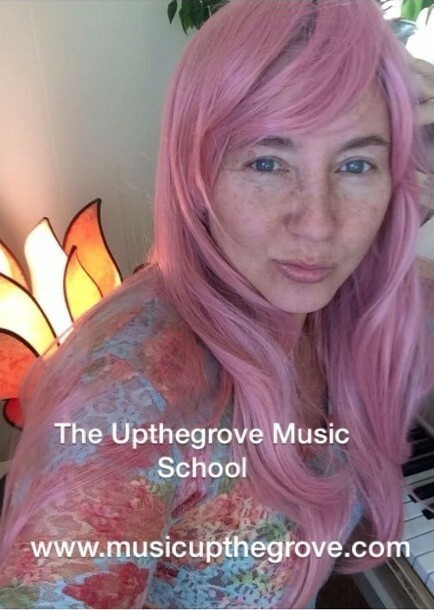 Some members of the band are teachers at the Upthegrove School of Music. We want you to be a part of the excitement! Lynda Upthegrove's solo album that she wrote, recorded and produced herself, along with playing most of the instruments. Thank you for your interest! Please take a moment to fill out the form below, and someone will reach out to you soon.